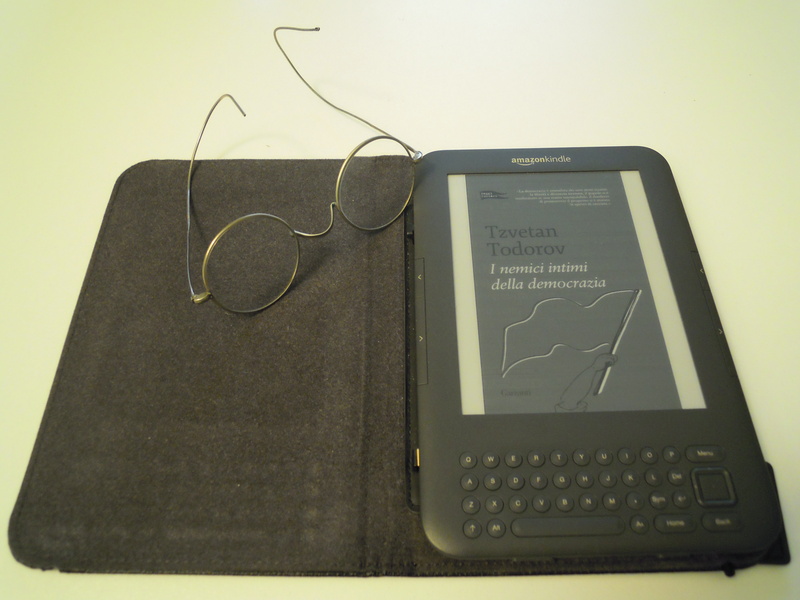 There is little doubt, ebooks are rapidly bringing back reading to its original social nature. The absence of any space between written words obstructed silent reading until 1140, when Hugh of St. Victor’s Didascalicon suddenly introduced words’ separation. Since than reading became a private activity, something to enjoy alone. As Ivan Illich wonderfully showed in its In the Vineyard of the text, this private nature of reading is not only inauthentic and recent but it also turns us away from the potential conviviality that any book guards. We have to look with extreme care at Kindle’s social annotation, the fastest and easiest way to network our passions and to rebuild a better social wisdom. Hope there will be a chance to keep this in mind, while we build Bookcity Milano.